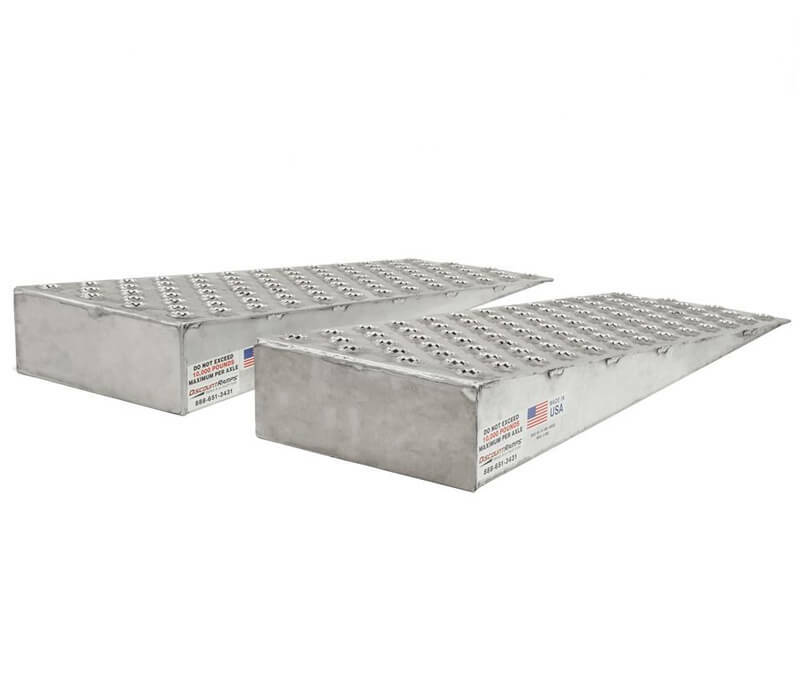 Our wedge style aluminum container ramp loading wedges are designed to accommodate a variety of equipment widths. Manufactured from high-strength, lightweight aluminum, each section is extremely lightweight so that they can be easily positioned by one person The 10,000 lb per axle rating will accommodate most forklifts. 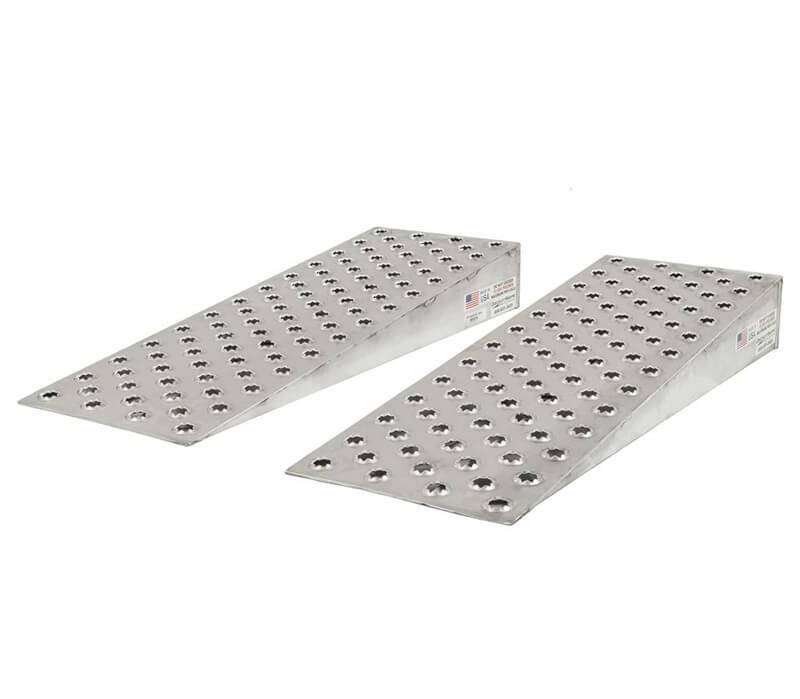 The high traction punch plate surface provides maximum traction in all weather conditions. These wedges can be used on containers with a 6″ lip. The wedges are 16” wide x 6” high and are available in 2 lengths, 36” and 48” models.